Each book includes nine objects of the appropriate color and a brief statement about them. A yellow pencil, however, is included in [cf2]Orange[cf1], and some objects (usually presented with two photos each) change from one photo to the next, e.g., "The barn is red. It is tall" has photos of two different barns. Although the photos are appealing, the text is dull. Ind. 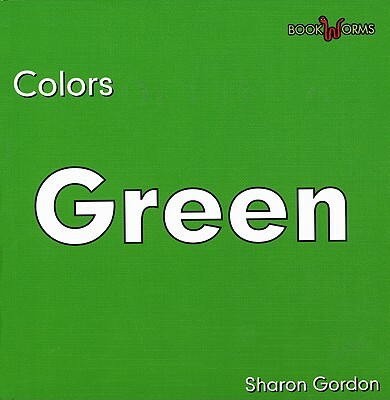 [Review covers these Bookworms: Colors titles: [cf2]Blue[cf1], [cf2]Green[cf1], [cf2]Orange[cf1], [cf2]Purple[cf1], [cf2]Red[cf1], and [cf2]Yellow[cf1].] Copyright 2005 Horn Book Guide Reviews. PreS-Gr 1-This series for emergent readers depicts, in simple language and photos, a red, yellow, or orange object on one side of a spread and another view and descriptive sentence of it on the other. "The lollipop is red. It is sweet." The final pages include a review of the "Words We Know." Stock color photos fill the pages, surrounded by white space. When the text follows a predictable pattern, it allows young children to "read" by looking at the picture clues, but the author often breaks the repetitive pattern. Some of the color labeling will confuse children, such as an "orange" pencil that looks bright yellow in one of the photos. Why an index is needed in these slim volumes and with this audience is mystifying. Stick with the photo-illustrated works by Ann Morris or Bruce McMillan for much more successful offerings in the same vein.-Rachel G. Payne, Brooklyn Public Library, NY Copyright 2005 Reed Business Information.